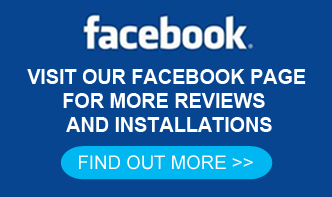 Our Resin Bound driveways offer an eye catching and functional alternative to the more traditional driveway installations using block paving and tarmac surfaces. 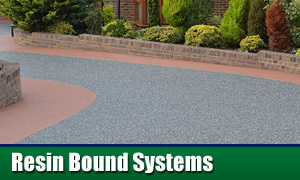 Decorative resin bound driveways can enhance the look of your property and can be designed to compliment your existing property style with numerous colours and designs to choose from. 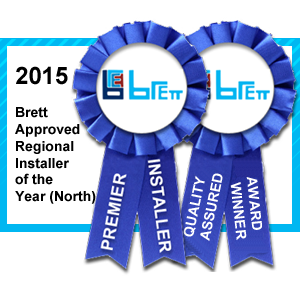 In fact because our decorative driveways are made to order your new driveway will look exactly how you want it to. 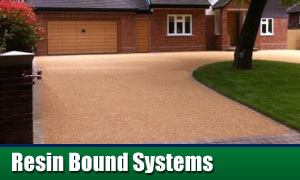 Resin Bound driveways not only look great they are also environmentally friendly. 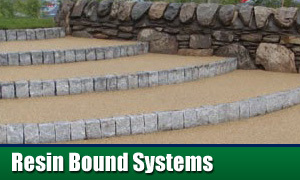 Made using a permeable surface, this allows water to drain through the system, back into the water table. 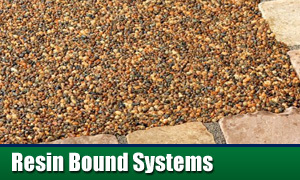 Resin Bound driveways use a resin bound aggregate surface that can be applied to both existing concrete and tarmac surfaces. The prepared surface is laid with a clear resin binder which is mixed with decorative stones and once cured is suitable for both foot and vehicular traffic. Newly installed surfaces can be walked on after approximately 4 hours with general pedestrian traffic and cars usage after approximately 24 – 48 hours.